Although Chiropractic is the most popular type of natural healthcare in many countries, at Beach House Chiropractic we appreciate it may be a new approach for you. To help you understand if Chiropractic is appropriate for you here are the answers to our most Frequently Asked Questions. 1. What training do Chiropractors receive? Chiropractors complete at least 30 hours of continued professional development. Our Chiropractors are registered with the General Chiropractic Council and are members of the United Chiropractic Association and British Chiropractic Association. 2. Do I need a referral from my GP? As a primary health profession you don’t need a referral from your GP. We are happy to provide an update of your treatment to your GP if you wish, to keep them abreast of your treatment and progress with us. 3. Will the NHS pay towards my Chiropractic care? Chiropractic is independent of the NHS. We strive to keep our fees affordable and provide concessionary rates when appropriate. We regularly review our prices to ensure your receive excellent value. Most health insurance plans cover Chiropractic. We ask that you pay us directly for treatment and claim from your insurer. Receipts and statements can be provided for you to assist in claiming. We recommend that you check your insurance cover before claiming. 4. Can I use health insurance to cover Chiropractic? 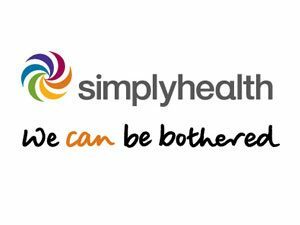 Yes, our Chiropractors are covered with various health insurance companies including BUPA & Simply Health. We are not covered by AXA PPP as they have chosen to close their books to chiropractors at present although we hope this policy will change! For more information please speak with the Clinic Director David Elphick. Chiropractic is regulated and research based profession that continues to demonstrate an excellent safety record. Regretfully, Chiropractic has been the subject of various misleading articles in the UK press and has been victimised by the medical profession in the USA for many years. In fact the American Medical Association was found guilty of all charges relating to an illegal conspiracy against Chiropractors in 1987 after many years of discrediting and attempting to eliminate the Chiropractic profession. The conspiracy centered around unfounded safety claims and political / press misinformation. 6. What results should I expect from Chiropractic care? Personal results from Chiropractic care vary depending on a number of factors such as severity of the problem, contributing underlying causes and the length of history. Most clients report ‘significant’ improvement during their progress examinations (normally after a course of 12 visits) whilst other report slight, moderate or fantastic. Please see our testimonials page for more details. 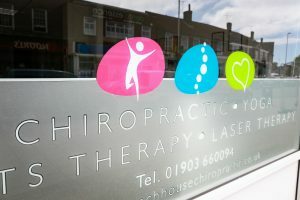 To see if Chiropractic can help, please call us on (01903) 660094. Please remember to visit our special offers page and make sure you take advantage of the savings on offer this month.